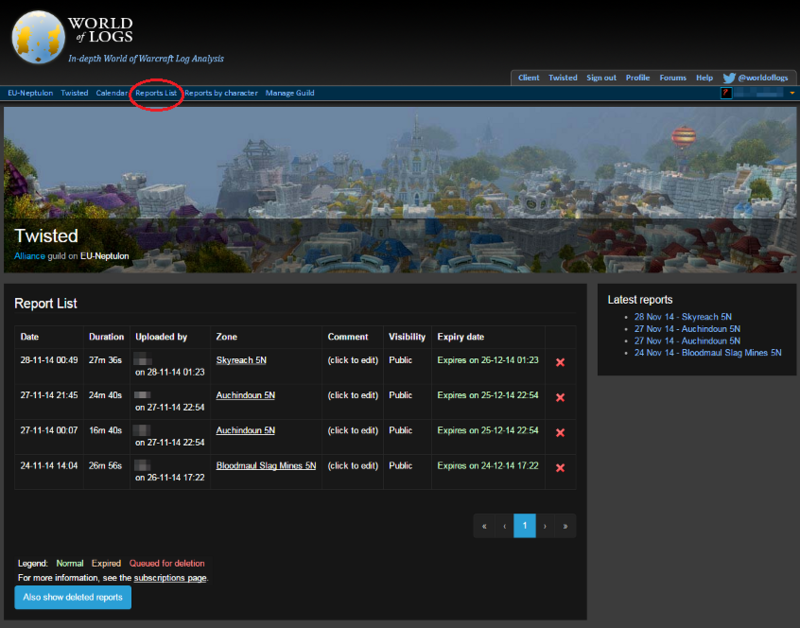 World of Logs - Tutorial - How do I view my uploaded reports? 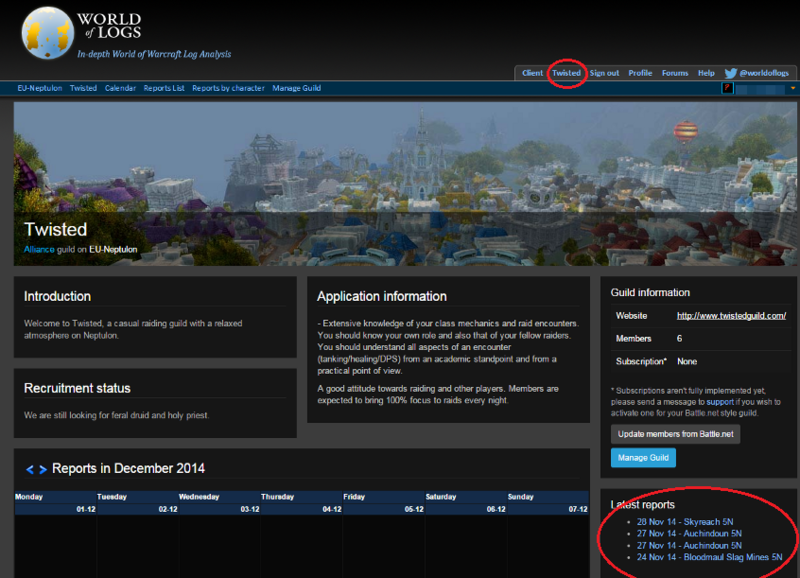 To visit your guild page, click on the name of your guild on the top right bar. To get a list of all the reports you have uploaded, click on reports list on the left top bar.